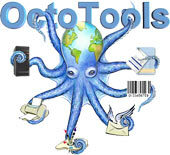 Can I upgrade from OctoPDF to OctoTool? You will need to install OctoTools but many of the command lines you've setup in OctoPDF will work in OctoTools as well. Special pricing and credits are available to OctoPDF customers who wish to move up to OctoTools, please contact JBM sales representative for more information. Are there any prerequisites needed for OctoTools? How long does an OctoTools install take? Once you download and unzip OctoTools, you are installed (.net framework required) and ready to start. OctoTools is licensed on a per server basis. Any machine can be a server, you can be running Windows 2000, or XP workstation. Commercial volume discounts and enterprise licenses are available. Service bureaus and Application Service Providers require a special license. Can OctoTools "Burst" Large Reports? Yes, OctoTools RTE automatically supports a robust bursting capability. You can easily define burst variables using OctoTools drag and drop GUI and select constants, static & dynamic variables, and time/date/page information to burst on. How many queues can I set up? You may set up as many as you would like. A different queue count be set up for each unique combination of characteristics or output placement. How do I fit more characters per line? In the edit menus, change the font size and apply. You can also manually change the line spacing as well. With immediate visual feedback you can confirm whether your selection is acceptable. For landscape line printer output at 133 characters, 66 lines, we've found that Lucinda Console at point size 8.25 and the line spacing set at 1.1 does a very nice job. Just about any windows print driver is supported including PCL and PostScript printers. Can I design and support A4 as well as custom size pages? Yes, the page set-up pull down menu in OctoTools designer allows you to easily select letter, legal, A3, A4, Portrait, and Landscape pages. Selecting "Custom Sizes" allows you to define widths and lengths. Margins are also definable.